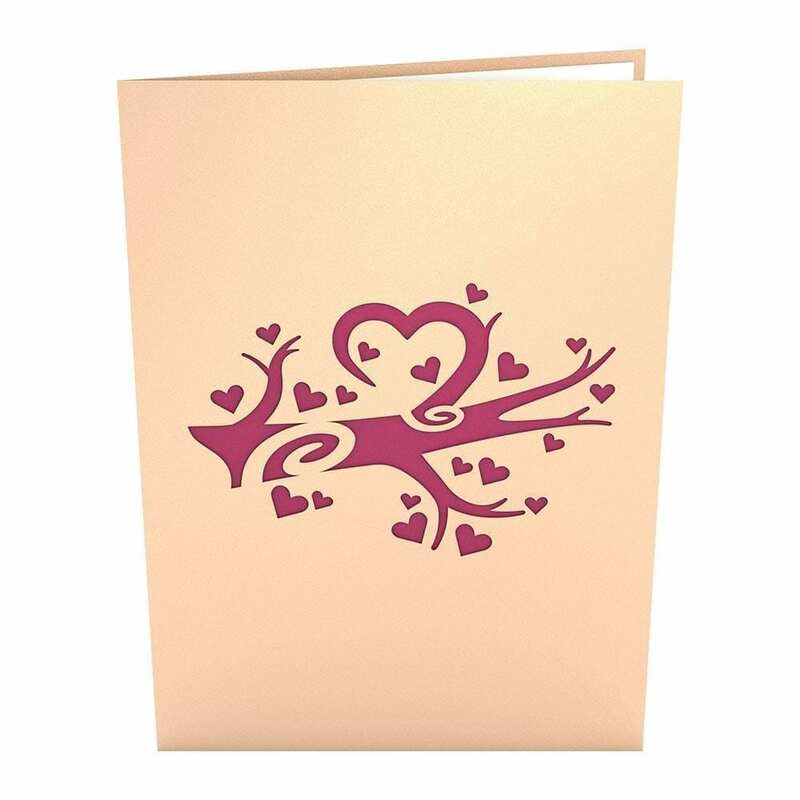 The tan cover of the Heart Tree pop up card features a purple laser-cut branch covered in hearts. 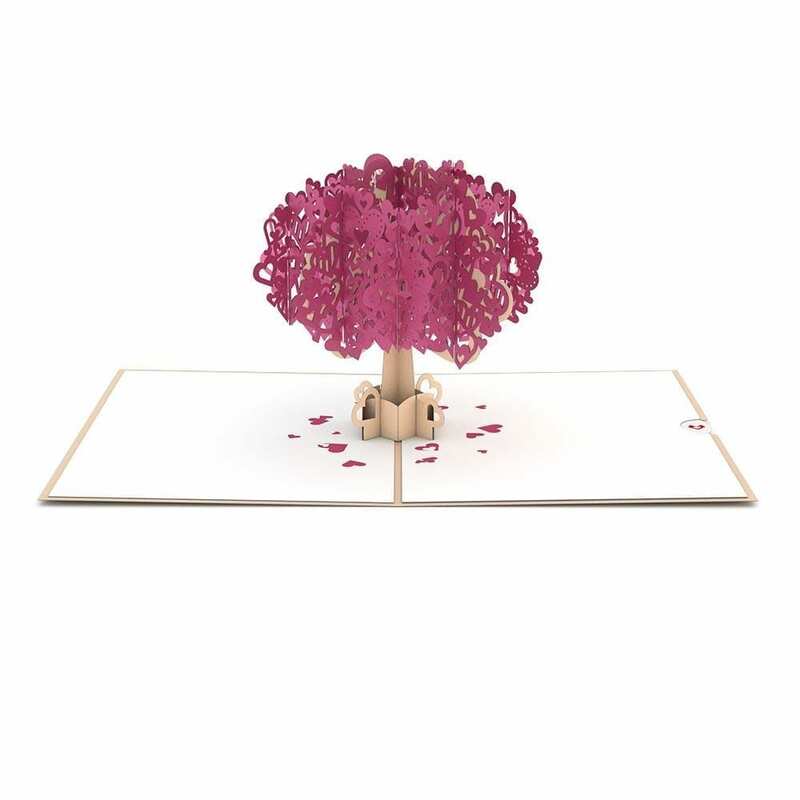 Once opened, the Heart Tree reveals its beauty. Its tan trunk leads up to a lovely canopy of uniquely cut pink hearts. At the base, a few heart leaves are scattered that fell from atop the tree. 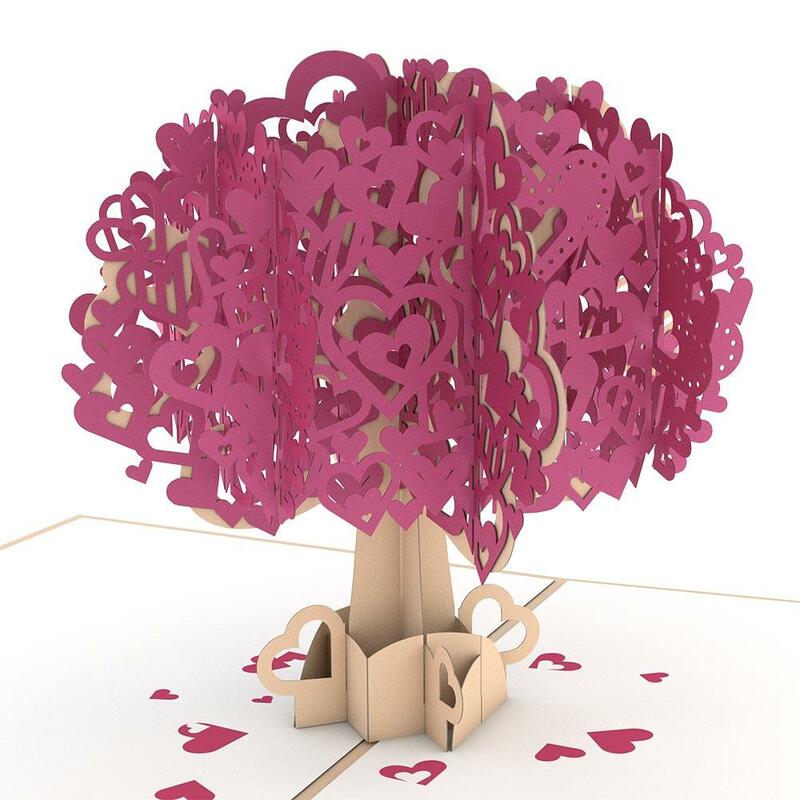 The Heart Tree pop up card is 5 inches wide by 7 inches tall.